The Institute of Historical Research in the University of London’s Senate House has long been something of a home-from-home for me, as for many historians. 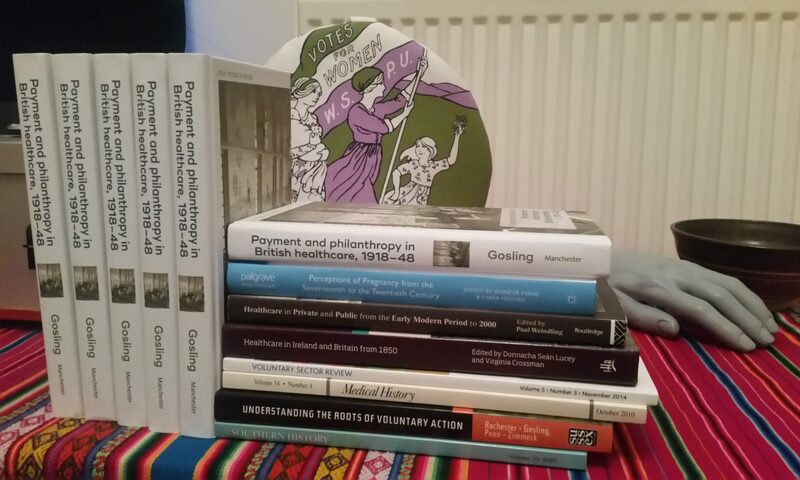 I lived in London for most of the time I was working towards my PhD at Oxford Brookes University when I found a surrogate academic family at the Voluntary Action History Society’s IHR seminars. As VAHS seminar convenor I recorded the first of the IHR’s seminars to be made freely available online as podcasts. More recently it’s where I met for meetings of the Social History Society committee and where I held my book launch at a special VAHS seminar. Whether it was a place for a PhD student to find a cheap soup lunch or to debate the future of the discipline with leading scholars, the IHR has (at it’s best) felt to me to live up to its mission as a national centre for the historical profession. And so it seemed fitting to hold the first joint event of the Social History Society and the Economic History Society at the IHR. Our one-day workshop on The Economic and Social Life of Money: From the Medieval to the Modern is due to take place on Saturday 26 January 2019. However, I’m also keenly aware that the lifeblood of the IHR is its staff. Not just the historians and librarians, but also the receptionists, the porters, the cleaners, caterers, security and support staff. It’s clear to me that they have been sadly let down by the University of London’s central administration, being outsourced and not employed on equal pay and conditions to directly-employed staff. It is on this issue that a boycott of Senate House (including the IHR alongside the Warburg Institute, the Institute of Advanced Legal Studies, Student Central and Stewart House) has been called. Given the amount of time and effort that has gone into planning the money history workshop (including bringing together two scholarly societies and a full-day programme of speakers and budgeting on IHR venue and catering costs) it is not an option to re-do all that work in order to join the boycott immediately. pledge not to hold or attend further events at the IHR until they are brought in-house.